Polly #11 just returned from a trip to Eastern Europe. You can’t imagine the fun that she had! In fact, she pranced her way through Prague! Yes, it’s true. She was so inspired by the beautiful scenery, she abandoned hopping in favor of prancing! 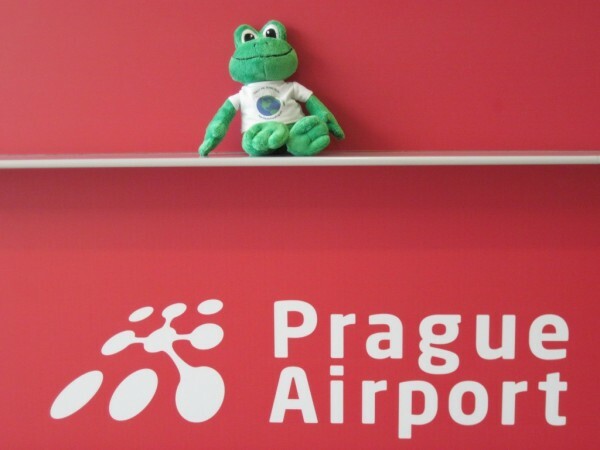 Oh, I almost forgot to tell you–Prague is the capital and largest city of the Czech Republic. 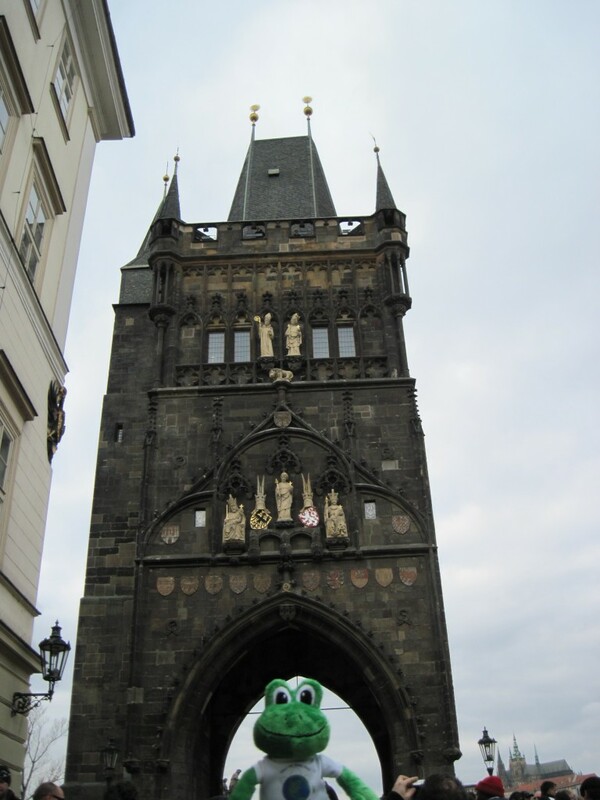 Polly is at the entrance to the Charles Bridge, a beautiful 650-year-old pedestrian bridge that crosses the Vltava River in Prague. Polly is just outside the Franz Kafka Museum, which is very near to the Charles Bridge. 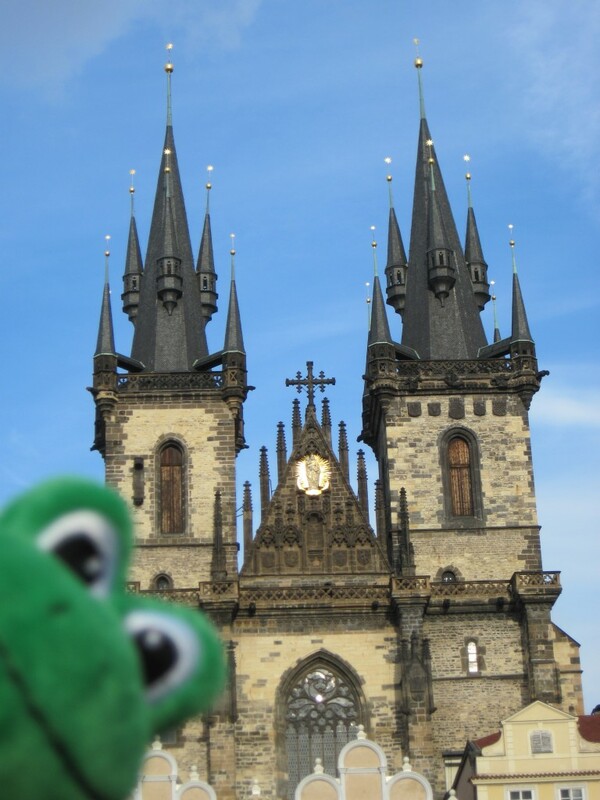 The Tyn Church in Prague -- a prime example of Gothic architecture. 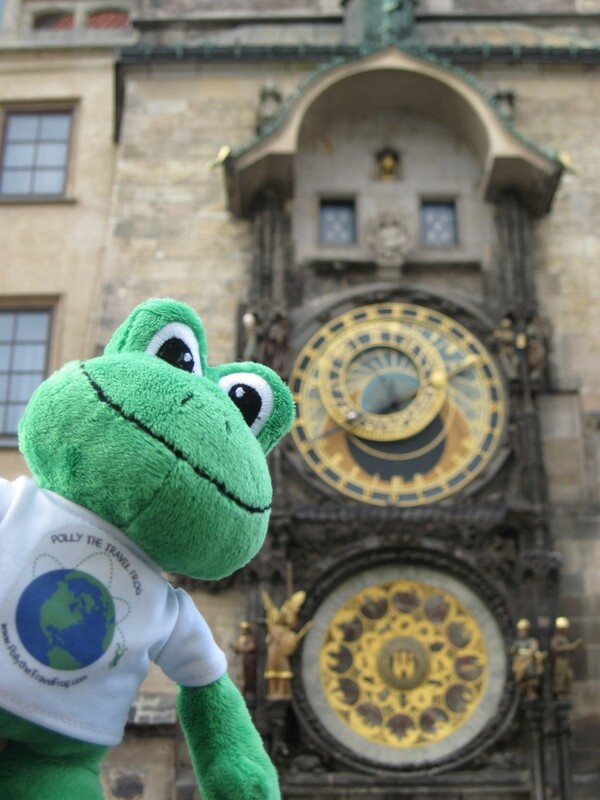 Polly is in front of the Astronomical Clock, a 500-year-old marvel in the center of Old Town Prague. Crowds gather here on the hour to see and hear the clock strike. Does Polly look a little sad? She's getting ready to fly away from Prague. Well Polly #11 how do you like Europe so far? It looks so cultural over there. In the last picture Polly looks tired to me, it must have been a whirlwind trip. Great pictures! Thanks for posting Polly #11…it was so much fun to see all of your pictures. 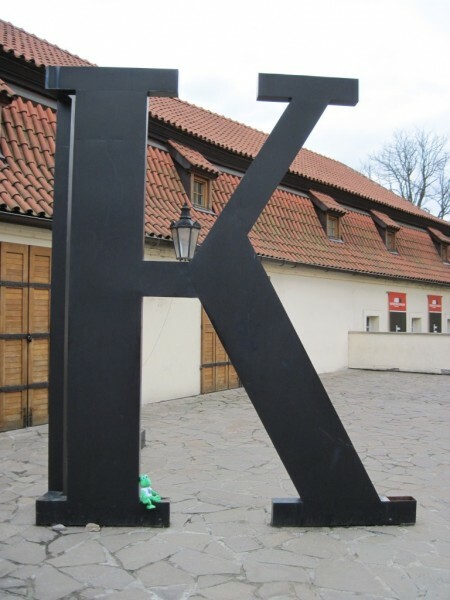 It’s too bad that the artist’s name wasn’t Franz Pafka, because Polly would have loved to pose on a giant letter P! I would love to be able to see that clock in person. Did you get to hear it chime? I bet it was loud! Glad that Polly 11 enjoyed Prague, it is one of the most beautiful cities in the world! And yet another place I’d love to visit! 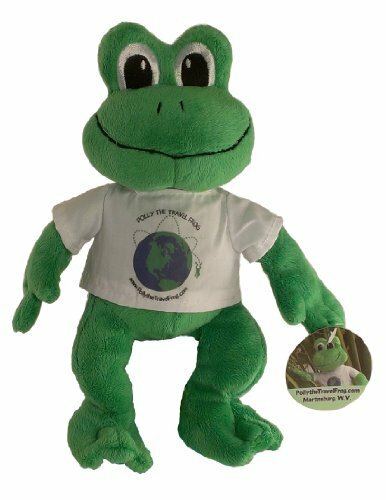 You’re one lucky frog!